This is probably not the Taxi Driver piece that you’re expecting. Here’s a peek behind the curtain. I initially conceived this series on the movies of 1976 because I was fascinated by the year between Jaws and Star Wars, when the blockbuster was about to take over and movies were soon to be changed forever. I see 1976 as a transformative year, both for good and bad, but I wanted to avoid two movies that are talked about to death whenever this year in cinema comes up. Those two films are Taxi Driver and Rocky, and they’re the first movies people mention whenever 1976 pops up. But as I got deeper into this series, I realized that I didn’t just NEED to talk about those two movies. I HAD to talk about those two movies because they are critical to the narrative of the year that we’ve put under the microscope. One of them is very easy for me to talk about because I love and respect it and have nothing but good things to say about it. The other movie is Taxi Driver. 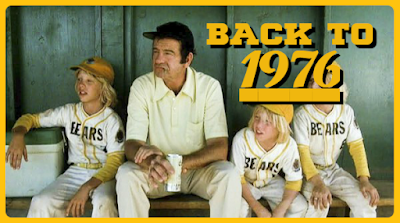 When I write these pieces on 1976 movies, I’m trying to do a few things. I try to give a little bit of a historical glimpse into each movie because I am a research junkie and I love exploring the creations of the things I enjoy. Then I try to offer perspective as to how this particular thing slots into the context of its time. Finally, I try to add a little bit of an autobiographical approach, some personal thoughts and views on why a movie succeeds or fails to resonate with me. I don’t think I can do that with Taxi Driver, because my thoughts are a mess and my research only makes me even more upset about this movie. So here’s me admitting that this is a movie that we MUST talk about, but also being completely honest that I’d rather skip it. I don’t know what to do with Taxi Driver. I don’t know how where to put it. It’s a movie that I respect for being a huge achievement in filmmaking, for being well-acted, well-directed, and having a script that is uncomfortably relevant all these years later. 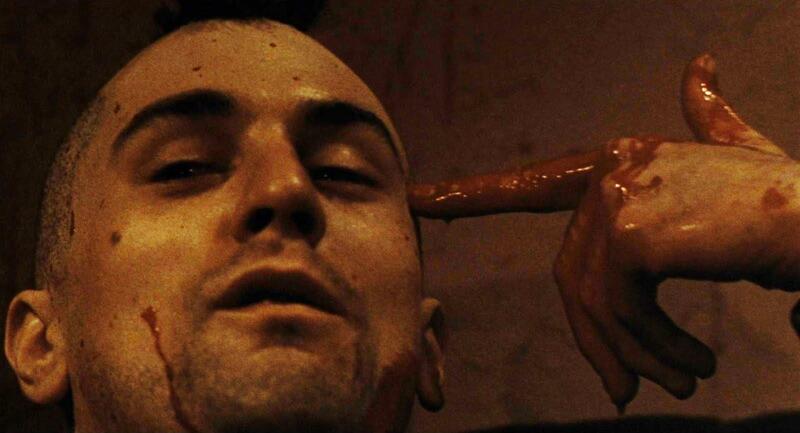 Taxi Driver is one of those movies that changed Hollywood. It’s like The Godfather. It’s like Gone with the Wind or The Wizard of Oz. It solidified both director Martin Scorsese and star Robert De Niro as icons. And yet, Taxi Driver is the ugliest of movies. And while there are movies that may be even uglier, none of them are as beloved as this one, and I’ve always struggled with that. 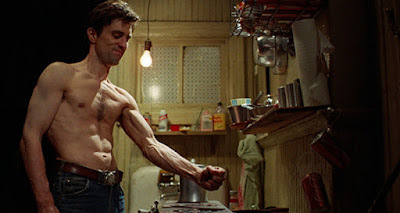 If you haven’t seen Taxi Driver (you should), it follows a New York cabbie named Travis Bickle (De Niro) as he navigates a filthy city populated by the worst of humanity. Bickle is a Vietnam veteran who is also highly neurotic, and he becomes increasingly convinced that someone must resort to violence in an attempt to clean up the streets from the cesspool that it’s become. As the movie unfolds, Bickle becomes more and more disassociated from reality, from society, and begins to see himself as the hero in his own narrative. He starts carrying guns, waiting for a conflict so he can spring to action. You can look at the pictures in this piece to see how gun-obsessed he becomes. When he meets a young prostitute (played by a young Jodie Foster making her second--not final--appearance in this series) and her pimp (played by Harvey Keitel), Bickle thinks that he’s found his hill to die on. Or rather, the hill for everyone else to die on. This film has a lot to say, and I think that it’s a deep enough topic that it’s open to some different interpretations. Personally, I recognize that it’s a character piece, but I also see commentary on our society’s obsession with heroes and how those heroes slide up and down the scale of morality depending on the circumstances and where we are. Bickle fancies himself to be a John Wayne type, maybe even a Dirty Harry analog, but we as the audience see him very differently. To me, Bickle isn’t unlike the people who are now shooting up our schools, or who take guns into a gay nightclub because they think someone has to clean up “the mess.” On this level, Scorsese was able to predict something that was certainly an issue in 1976 (see the previous entry in this series on the movie Shoot), but would go on to become frustratingly common. I think Taxi Driver has a lot to say in social commentary, and I do think that Scorsese is adept at seeing real villainy as it hides in the crowd, invisible until it can’t be ignored any longer. But for me, Taxi Driver feels like crawling around in a dumpster to look for a diamond. Each person has to decide for themselves if they’re willing to be covered in filth and excrement to get to the “good stuff.” For me, this movie is a painful watch, and has only become more painful as I’ve gotten older and lived through legitimate trials. When Travis Bickle attempts to woo a woman that he finds attractive (played with grace and elegance by a young Cybill Shepherd), I am so uncomfortable that I can barely stay in the room. There’s a reason that I enjoy movies as escapism and tend to avoid things that look too deeply into the black soul of humanity. Having gone through a horrible divorce (all divorces are horrible) and a lengthy, expensive child custody case by the time I was in my early thirties, having slept in rooms with doors locked for my own safety from people I was supposed to trust, there are now parts of me that are walled up forever. For some reason, Taxi Driver attempts to bust through those walls and shine a light into the shadows, but I no longer have the emotional equity to allow that to happen. Self-preservation dictates that I can’t. This movie makes me feel absolutely awful. It’s so nihilistic and bleak that I can hardly stand it. Let’s talk about Jodie Foster. Yes, her Oscar-nominated performance as a child prostitute is staggering, and she displays all the experience of an actress forty years older than she actually was at the time. I now find her role and her performance to be horrifying. I have a daughter who will be turning 12 in a matter of days, which is roughly the same age as Foster during the filming of this movie. I spend my time trying to protect my daughter from the ugliness of the world, to protect her innocence, and Foster’s role actually makes me angry. Angry at her parents for letting her take this role, angry at the director for not realizing that he was asking too much of a child, angry at the producers, and everyone who let this happen. In the last few years, Foster has spoken candidly about her time on this movie and how uncomfortable it was. She admits that no one knew how to direct her in these horrible scenes, and that Scorsese would nervously laugh because everyone was on egg shells. Now, I’m not a child psychologist, but maybe everyone was so uncomfortable because even the fiction of this movie (which was based on a real incident) was so grimy and dark that these people instinctively knew that they shouldn’t be putting a real child in these situations. This begs the question, how far should art go in imitating life? I’m not one for censorship, and again, all these scummy elements are in service of a story that feels relevant and needs to be told. But do you dress up a kid in a see-through shirt and put her in pretend-compromising situations with grown men for the sake of art? I can’t answer that one. I can only tell you that I used to admire Foster for giving such a world-wise performance, but now it makes me sick to my stomach. The things that happen in this movie, I HOPE can never happen again, and I ask myself, do we need this? I suppose that question is the thesis of this entire piece. Taxi Driver is a staggering commentary that has become more and more relevant, maybe even commonplace, in our own society…but do we need it? It’s the rhetorical question I ask Scorsese in my head over and over as he continues to make movies about awful people doing awful things. I have such a hard time reconciling the fact that they guy who loves George Harrison and Bob Dylan and directed Hugo, which is such an uplifting love letter to the power of cinema, spends so much of his time telling stories about the worst of us. And in my head, I ask him “do we need this?” Listen, I’m not here to say that we don’t, because maybe we do. Taxi Driver is an epic piece of cinema, powerful as the day is long, packed with some of the finest acting in the medium. It has classic lines (“You talkin’ to me?”) and classic scenes, and represents an achievement in cinema. But it’s also an angry movie—or at least has a lot of angry people in it—and that aspect reflects society in 1976. We’ve watched a lot of movies from this year in cinema during the past twenty or so installments, and we’ve still got some good ones left, but one thing that’s been a constant is a cynical weariness. We were an angry people in 1976: angry about Vietnam, angry about Nixon, angry about the death of the American Dream, or suspicious that it had only been an illusion all along. Directors like George Lucas would soon spin their anger into a statement against the political establishment and the mess that had been made by those in charge of our well being, but you can still see the raw emotion and resentment in the films of 1976. It hadn’t been dealt with yet. It hadn’t been put away. You can always read what is happening in the hearts and the minds of a culture by looking at the art that they make. 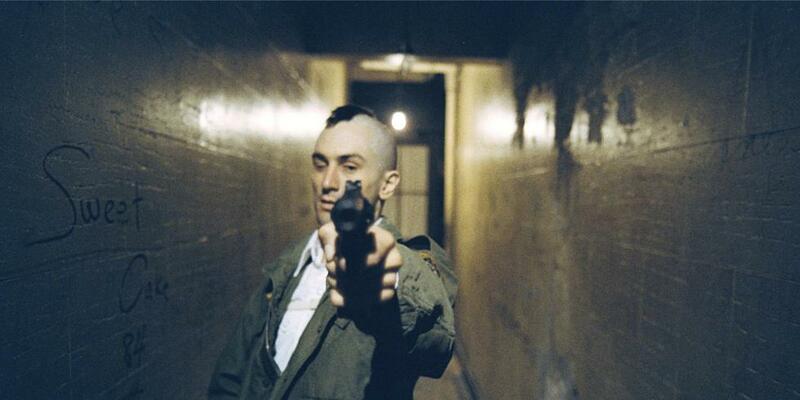 This brings me to the last thing that makes Taxi Driver such a challenge for me. In so many ways, this movie from over forty years ago looks a lot like the world we live in today. Cynical, weary, jaded, looking for heroes, but settling for anti-heroes. Replace Vietnam with the wars in the Middle East, replace Nixon with our current political climate, and you’ll see that so many of the struggles in this movie are still struggles today. We are tired. We are angry. We are waiting for someone to save us, but we know that no one will. Do we ever manage to beat our own demons, or do we just put them away for a while until a new generation comes along and unpacks them once again? These are the questions Taxi Driver raises for me, and this is why I’ve struggled so much with this movie. It’s a fantastic achievement for cinema and a really good example of the power of film, but it’s also SUPER depressing because it shows that we haven’t come very far at all. 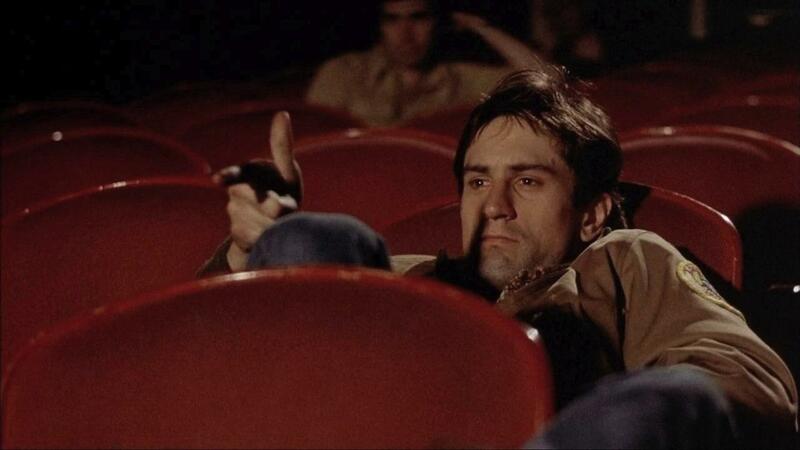 Fortunately for all of us, Taxi Driver is not the end of this retrospective series, nor is it the end of the narrative of 1976. Over the next couple of months, we’re going to be looking at some real gems and some of my favorite movies from that year. One of the reasons I enjoy looking backward so much is that it allows us to see that the darkness doesn’t last forever, and there’s always a new beginning when we need it the most. Oscar Wilde once wrote “We are all in the gutter, but some of us are looking at the stars.” For the final leg of this series, we’ll be looking at the stars. Fantastic article Heath! You perfectly put into words my issues with Taxi Driver. It's such a towering achievement in film that makes me thoroughly miserable to watch. It's such an important movie, but it's one I never need to watch again. Thanks for commiserating with me! Glad I'm not the only one. Heath, I think this is the best thing you've ever written and this is from someone who defends Taxi Driver. It seems that half the time when I comment on this site I'm lauding the writing of Robin Wood, but dammit that's how good the guy is. Heath, I would strongly recommend you read Wood's book "Hollywood from Vietnam to Reagan," which contains a great chapter on Taxi Driver. Wood refers to the film as an "incoherent" work because it features two drastically clashing viewpoints - the angry nihilism of Paul Schrader and the Catholic guilt of Martin Scorsese. Schrader believes just a little too much in the "quest" Bickle is on, while Scorsese can see how twisted and lonely the man really is. It is true that Taxi Driver is just as relevant today as it was in 1976. That is sad, but it also means there is still much to be learned about American culture by studying the film. That book sounds interesting (heavy, but interesting), so I'll have to check it out! Agreed with Adam, Heath. This is excellent. This is a beautiful peace, Heath. Loved reading this. I am very familiar to the question of "Do *I* need this?" especially now, when I have growing responsibilities and people counting on me. I weigh everything now - even watching movies, listening to songs I used to, whatever. I guess the question is really more "Can I handle this right now?" Because I need to be cheerful again at 7:30 am. I seek out more "helpful" visions than I used to. I still like all kinds of stuff but I think I notice more now if something feels to me like it has kind of an indulgent vibe, or something trying to provide more insight, if that makes sense. Taxi Driver is one of my top 5 favorite movies ever. I agree with your excellent analysis, only to come to a different conclusion. It's a hard watch indeed, but one that works cathartic for me, reminding me of some brushes with less pleasant things and some good decisions I made in the past. And as a warning for the present and the future. a problem with the movie is people might indeed make Travis to much a hero. But evil lies in the eye of the beholder. also: typing replies on a smartphone is evil.